In Autumn and Winter, jackets, boots and sweaters are must-haves no matter where you live and so the search begins to find the best quality for the price. Today we will be looking at 8 different jackets, for men and women. 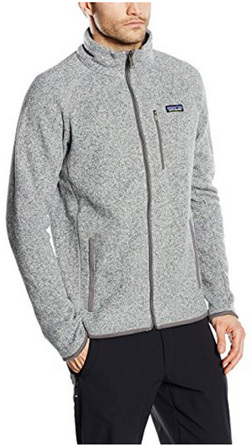 They are by the same brand, Patagonia and we will get right into it after a short introduction. Patagonia is an American brand founded in 1973. They design a variety of outdoor clothing and gear. In the beginning, the brand catered to climbers, whereas now, every outdoors lover can find something for their favorite activities and preferences. Another thing to note is the brand’s environmental awareness, as they do their best to reduce pollution by using recycled polyester and organic cotton. Time to see what we have picked for you. Starting off light, Better is a sweater jacket made of 100% Polyester. It has a medium-height stand-up collar and a full-way zipper, with double-sided chin protection. The design is beautiful as it gives the impression and feeling of a knitted sweater, while the inside is lined with soft fleece. Another interesting feature is the Micropolyester trim on the cuffs, back of neck and bottom hem. This helps maintain the shape of these areas. On both sides there are two zip pockets and on the left side of the chest there is another zip pocket. It comes in the color: Stonewash, Black, Dark walnut, Nickel, Classic navy and Pale khaki. 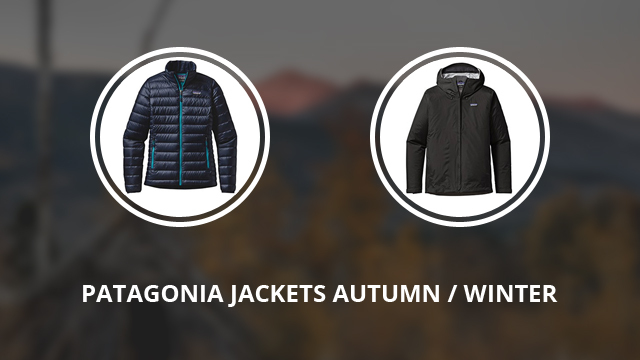 You might also like: Why is Patagonia so Expensive? Are their Jackets Worth the Price? 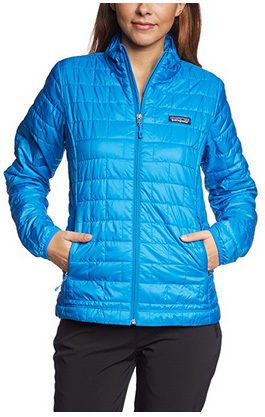 Patagonia Nano is a puff jacket made of 100% Polyester, with DWR treatment on the outside. This is a water-repellent and windproof jacket, with high quality insulation using Primaloft Gold Eco. The fabric used is Bluesign approved. It has a high stand-up collar and elastic cuffs on the sleeves. 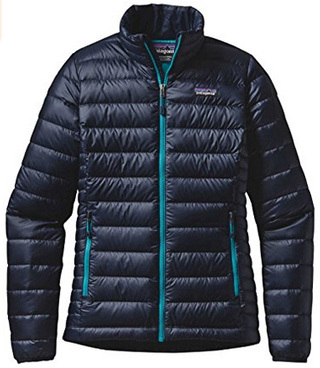 Read also: Patagonia vs The North Face: Which Brand is Better? The insulation is evenly spread and held in place by square-patterned quilting on the jacket’s body and sleeves. The main zipper is full-way and concealed and there are two outer pockets on the sides. On the inside there is also a zipper pocket, which also serves as a packing pocket for the jacket to fold inside of. Nano is available in the color: Black, Forge grey, Grecian blue and Red. Next we have Torrentshell, which is a waterproof jacket made of 100% recycled Nylon fabric on the outside and microfleece lining on the inside. This is one of the most versatile jackets out there as it can be worn in a variety of activities, as well as for everyday wear. It comes with a hooded and high collar. The hood is adjustable and stows away underneath the collar. The main zipper is water-resistant and covered by a storm flap. Speaking of storms, on the inside of the jacket there are storm flaps to completely help insulate the jacket and isolate it from weather conditions. There are two zipper pockets on the outside for the hands and under both arms, there are ventilation pits to prevent overheating. Despite being waterproof, Torrentshell is a breathable jacket and it is available in 10+ colors, including: Black, Buffalo green, Andes blue, Chromatic yellow and Forge grey. A very interesting design, this next jacket comes in a sweater/hoodie style, with down insulation. The shell is made of 100% Polyester, with DWR treatment. The down filling is 800-fill-power and 100% traceable. It comes with horizontal quilting and a hooded collar. The main zipper is water-resistant, as are the hand-warmer pockets’ zippers. On the inside there is a zipper pocket. The cuffs are elastic and the hem is slightly longer, for a better fit and back cover. 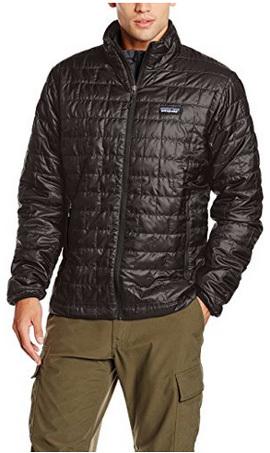 This is a highly weather-resistant jacket, as well as fully insulated to prevent heat-loss. It is available in the color: Feather grey, Legend green and Navy blue. The first jacket in this second part of our selection is Better, a very similar sweater jacket to the men’s version. However, this is a hoodie-style jacket, made of 100% Polyester and lined with fleece on the inside. The hood is also lined for a warm and cozy wear. There are two zipper pockets on both sides, which are lined to keep the hands warm. The main zipper is uncovered and full-way. 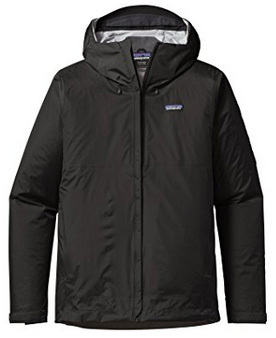 This is a jacket suitable for dry and cold weather as it is not highly-resistant to water. Better comes in 4 colors: Black, Birch white, Classic navy and Raw linen. Next is Nano for women. It is nearly identical to the men’s version, so we will just mention the key features of this jacket. It is made of 100% Polyester and comes with a high stand-up collar. The insulation is by Primaloft Gold Eco and the quilting is in a block-like pattern. There are two outer pockets for warming up the hands and the cuffs are elastic to help with insulation. It comes in the color: Black, Birch white, Feather grey and Andes blue. 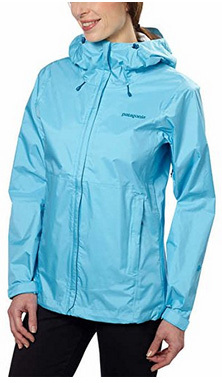 Torrentshell for women is an elegant and high-performance sports jacket. It is made of 100% Nylon and comes with H2No technology, which makes it waterproof. The collar on this jacket is hooded and adjustable, with the main zipper closing it up. Speaking of which, it is a water-resistant zipper with a slim flap covering it. There are interior storm flaps and it comes with Velcro-adjusted cuffs. On the outside there are two hand-warmer pockets and one inner pocket on the inside, where you can fold the jacket into. You can find it in 2 colors: Ultramarine blue and Concord purple. And lastly we have this cozy down sweater jacket made of 100% Polyester, with DWR treatment to keep rain and snow off the jacket. The collar is stand-up and the cuffs are elastic. The insulation is 800-fill Down from humanely-treated geese. 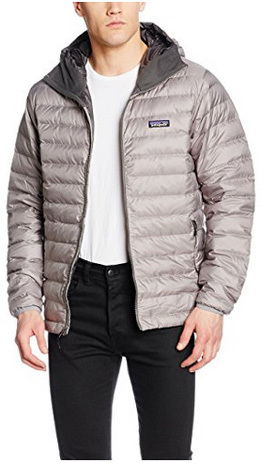 This is a quilted jacket, with no blindspots and perfect insulation. The zippers are Vislon, high quality and water-resistant. There are two hand-warmer pockets on the sides and one inner chest pocket. The back hem is longer, to provide better coverage. It comes in the color: Black, Navy blue and Feather grey. 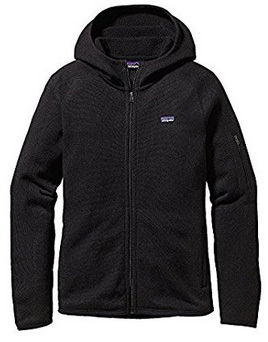 Previous Article← Why Is Patagonia So Expensive? Are Their Jackets Worth The Price?